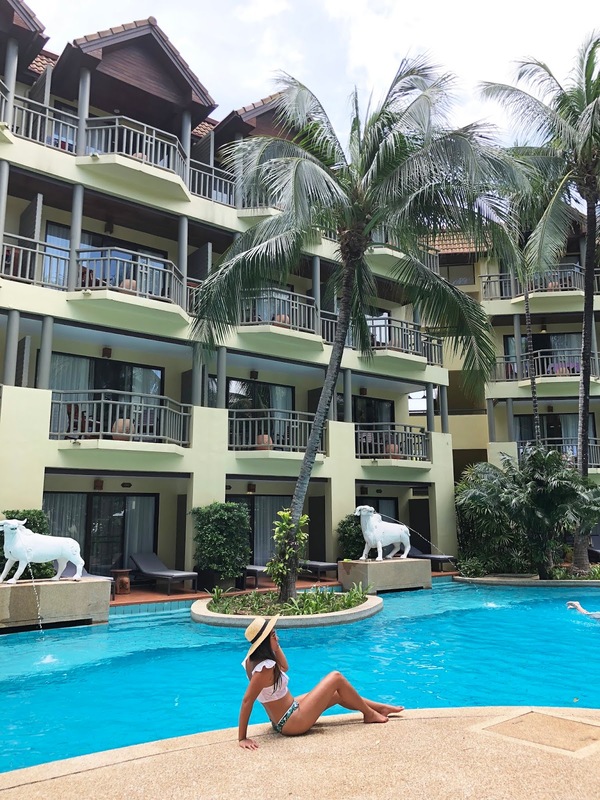 3 restaurants, 2 coffee shops, 3 bars/lounges, 3 outdoor pools and a private beach; if you are looking for a hotel that fits all your needs, Phuket Marriott Resort & Spa, Merlin Beach is the hotel you should book when in Phuket. 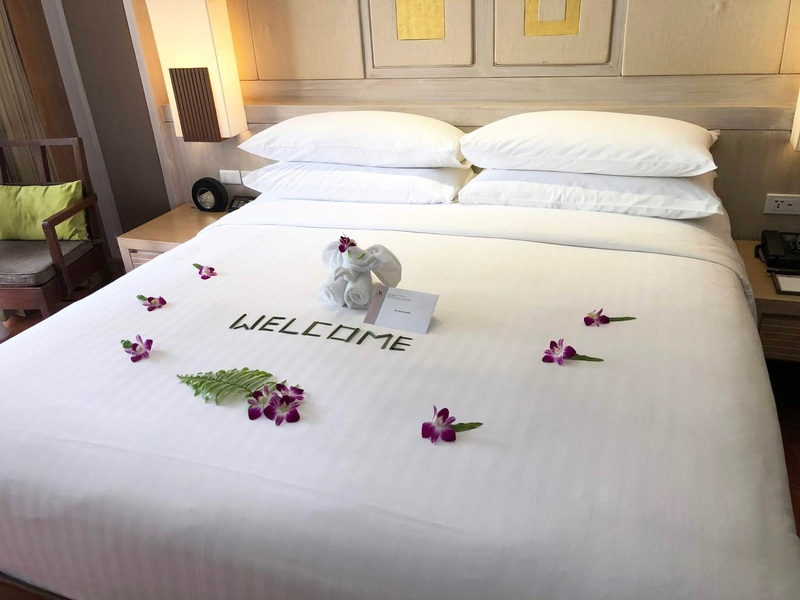 After spending a few nights in Novotel Phuket; it was time to move to our next hotel – Phuket Marriott Resort & Spa. 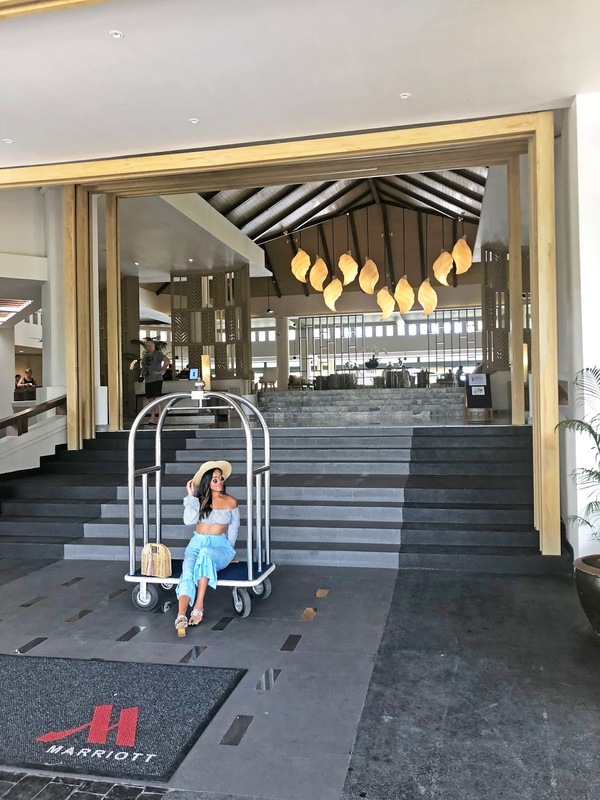 Marriott hotels are popular throughout the nation; and have a reputation to be stunning and very accommodating; so I was excited to see what this hotel had to offer. 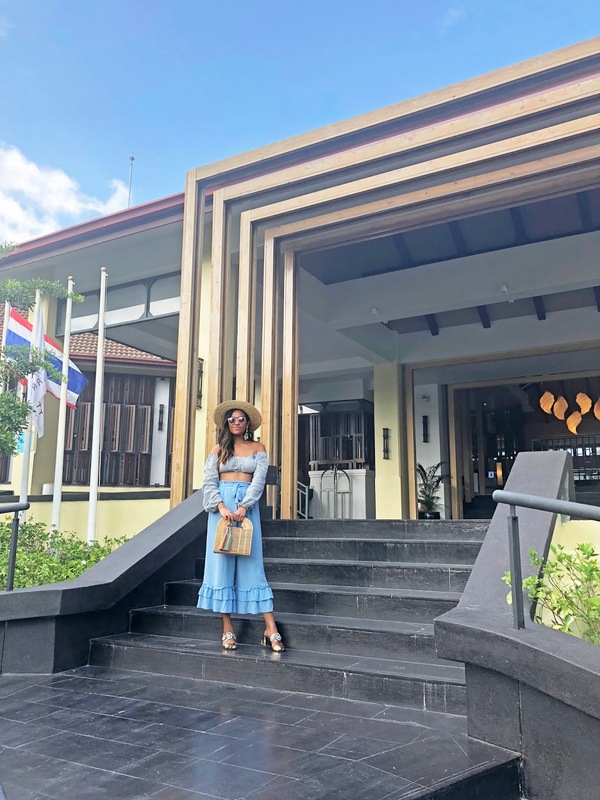 Just by pulling up into the hotel, it was obvious how picturesque this hotel would be – the hotel is stunning from inside and out; the staff were very warm and took care of us right away. While we waited for our room, we met with the marketing director and she showed us around this beautiful hotel. The hotel was so big! Though, I’ll admit, it definitely feels like a typical American resort – I was still pretty stoked to stay there. One of the things I thought was pretty cool and unique – but probably would not know it existed if I didn’t take the tour was their Butterfly Sanctuary. You can view live butterflies to see in their natural state, and learn about the different species at any time during your stay. The hotel also offers daily tours three days a week. 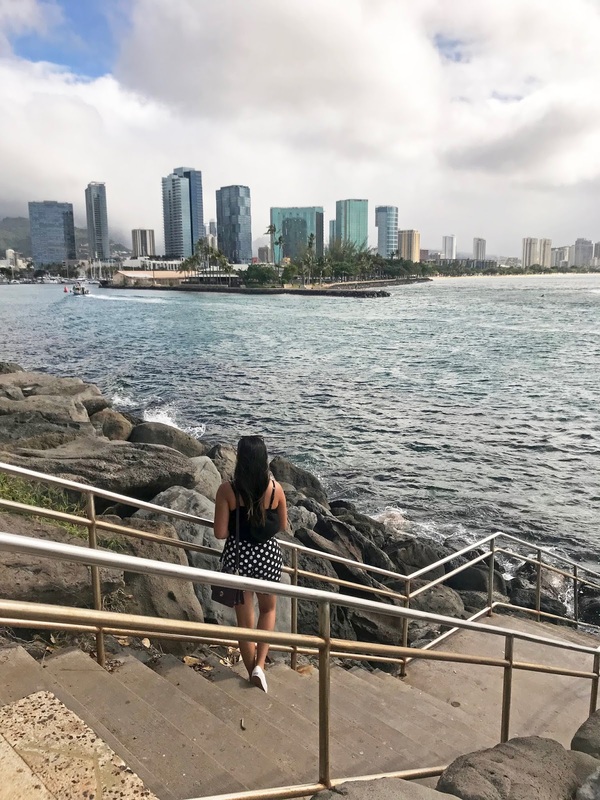 This 5-star hotel offers guests with elegant rooms and suites; we were upgraded to their Premier Pool Access room, which offered 1 king bed and a swim up pool balcony. It was so cool! I have only seen rooms like this online, and (might sound cheesy but) have always wanted to stay in one. The room was a good size for 1-2 people; and offered modern bathrooms featuring a separate shower and bathtub, TV, refrigerator, and a ton of complimentary water bottles. Experience a taste of Italy at this stylish restaurant. Their products are imported from Italy, as well as a varied selection of Italian wines and fine cured meats. This restaurant is only opened for dinner. This restaurant is available for breakfast, lunch and dinner – with inside and outdoor seating available. This is where we met up for breakfast daily. They had a great selection no doubt, but compared to all the other hotel Thailand breakfast buffets, I definitely noticed the food is targeted towards tourists – as the selection of Thai food was very minimal. Though, it was still good nonetheless. Now if you are looking for some authentic Thai dining, Thai Pantry is your go-to. Thai Pantry offers classic Thai dishes that will make your mouth water. It is opened for dinner. Do you need your morning coffee fix? Say no more; Phuket Coffee Co. serves freshly baked artisan breads and pastries, as well as fresh roasted coffee and other deli items. This spot is open for breakfast and lunch. Want a quick snack or meal right by the beach? Beach Grill offers guests grilled seafood and meat in beachside seating areas. You’ll definitely want to feast on something while you take in the Phuket sun. This is a great place to relax, catch up with friends, have meetings, etc. The Lounge offers drinking and dining – and at night time you can enjoy some live music. Yep – one of my favorite features of this hotel is their Pool Bar. You can enjoy some drinks and casual cuisine while enjoying some pool time with friends and family. Of course if you are feeling healthy, feel free to enjoy smoothie bowls, detox juices and delicious healthy meals at the Wellness bar. Situated right next to the beach is this very cute drink shack. If you go here, ask for Gin! He was my favorite, super friendly and was very accommodating. 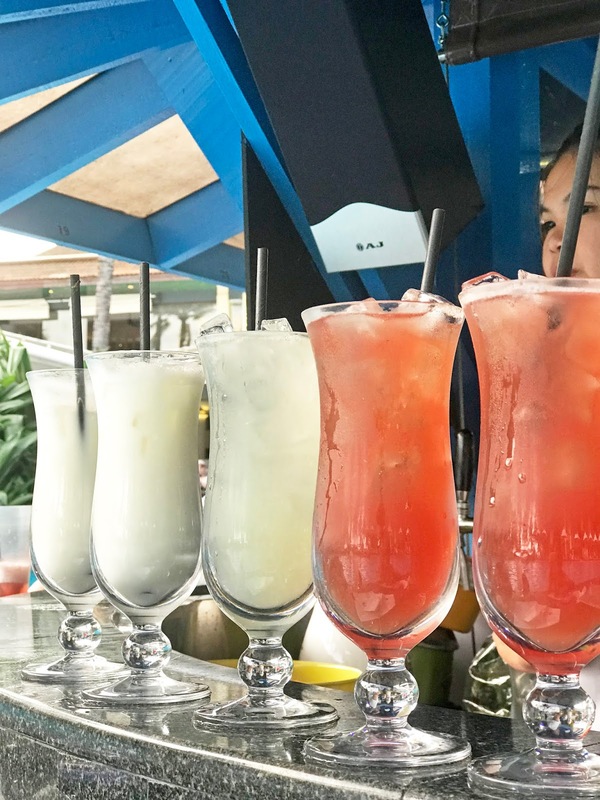 Ask him to whip you up a yummy tropical, coconut flavored drink! This spot is the perfect place for some beer, burgers and game time! Room service is also available. If you decide to do so, make sure you order their chicken wings! You can also order them at the Pool Bar; they are SO GOOD! The hotel offers guests with 3 swimming pools and 2 children pools. We stayed mainly in our pool area which was more private and less crowded as the pool was connected to guest’s rooms. The main pool was where the pool bar was located – which was usually the most crowded out of the three. Still with a good amount of space overall. Take a break from the pools and walk on over to the resort's private beach - nothing like a secluded area with amazing beach views! There’s a decent sized fitness center on the first floor – featuring cardiovascular equipment and free weights. The gym also offered complimentary fitness classes (which I wished I could have tried out!). 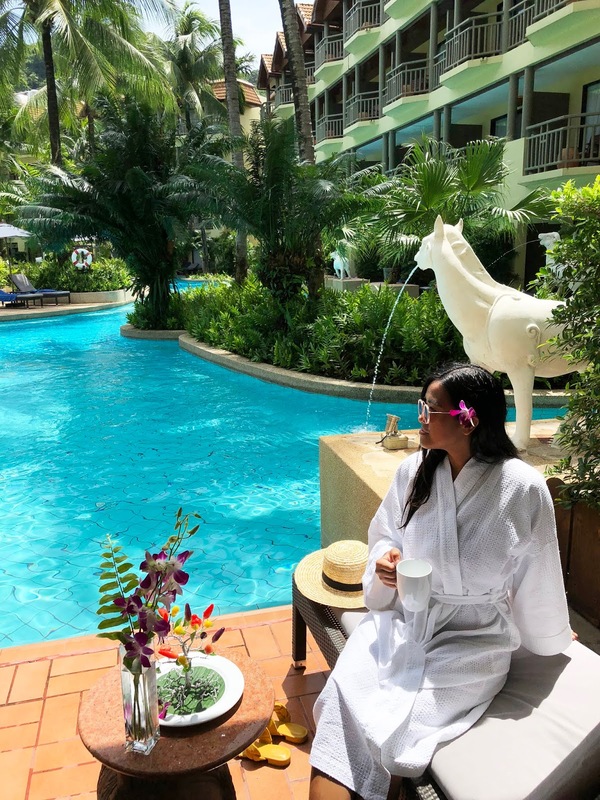 Take a day to relax and indulge at Phuket’s resort day spa – from massages to body wraps and facials; there is absolutely no excuse not to make an appointment. Spa hours are 10 am – 8 pm daily; appointments are required. While you may be thinking this resort has everything; you may be right. 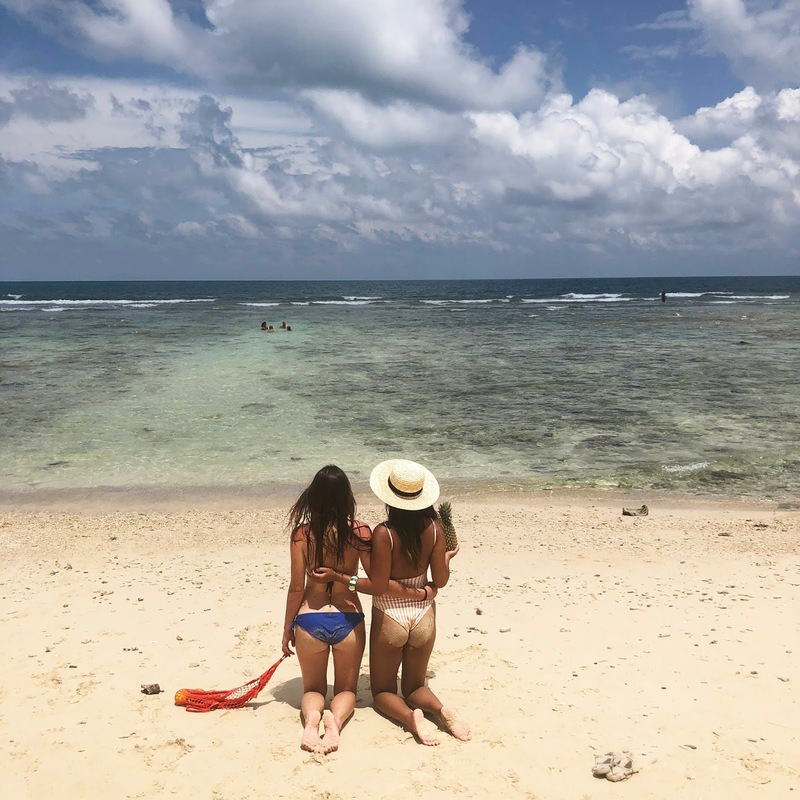 The resort also offers guests with other activities you might be interested in doing such as kayaking, scuba diving, snorkeling and table tennis. My friend had tried snorkeling and she loved it! And it was very inexpensive – like $9 per 90 minutes – talk about a deal! 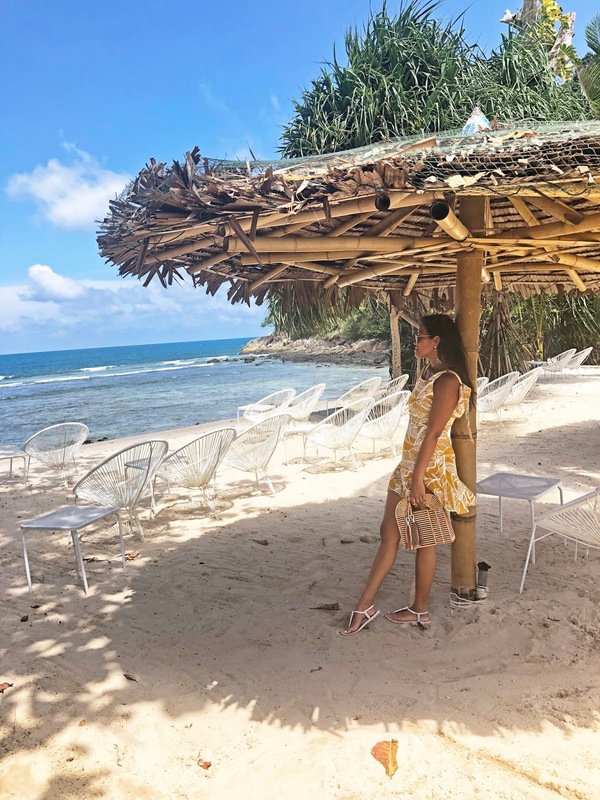 Without a doubt, Phuket Marriott Resort and Spa, Merlin Beach did not disappoint one bit. 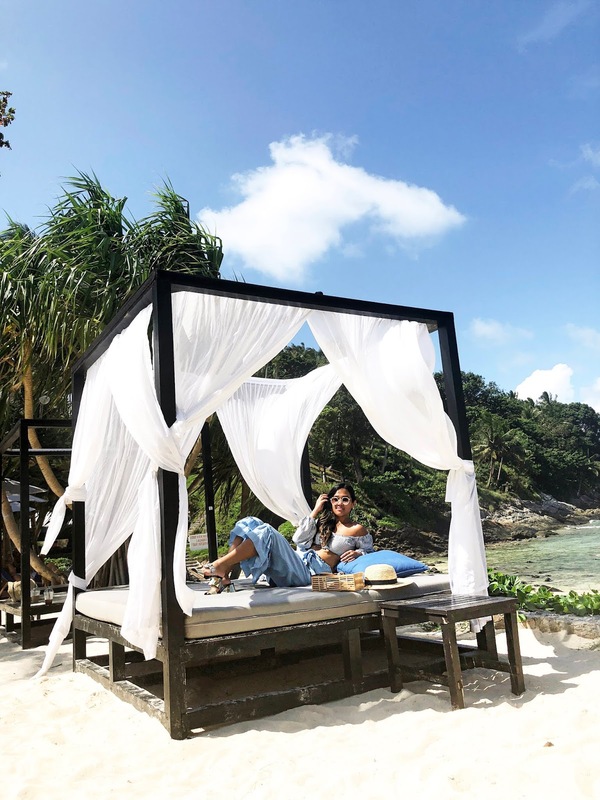 If I were to choose a hotel to stay while in Phuket; this is the spot I would choose – not to mention is any Influencer’s dream hotel – so MANY picture-worthy locations. Out of all the hotels we stayed in during this trip, I shot SO much content here. 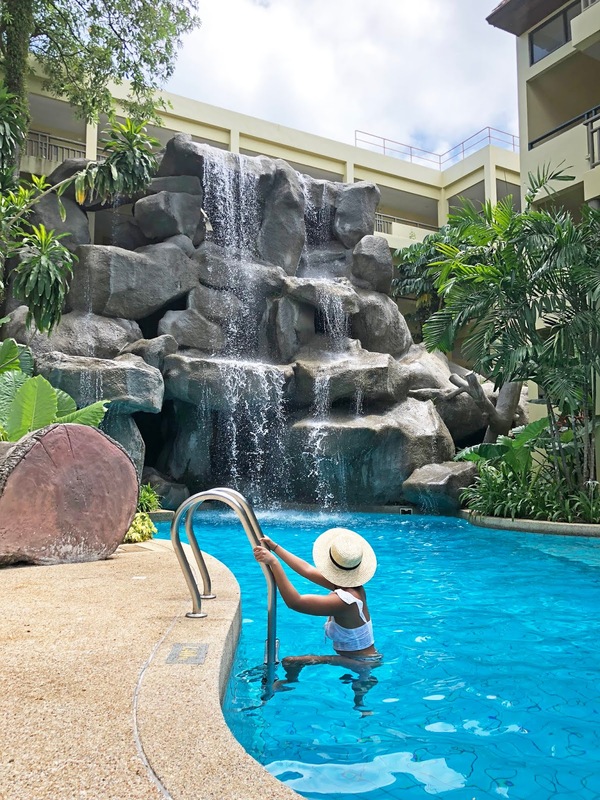 It’s truly a stunning hotel that offers a wide array of delicious cuisine, amazing amenities, endless activities and very accommodating staff. 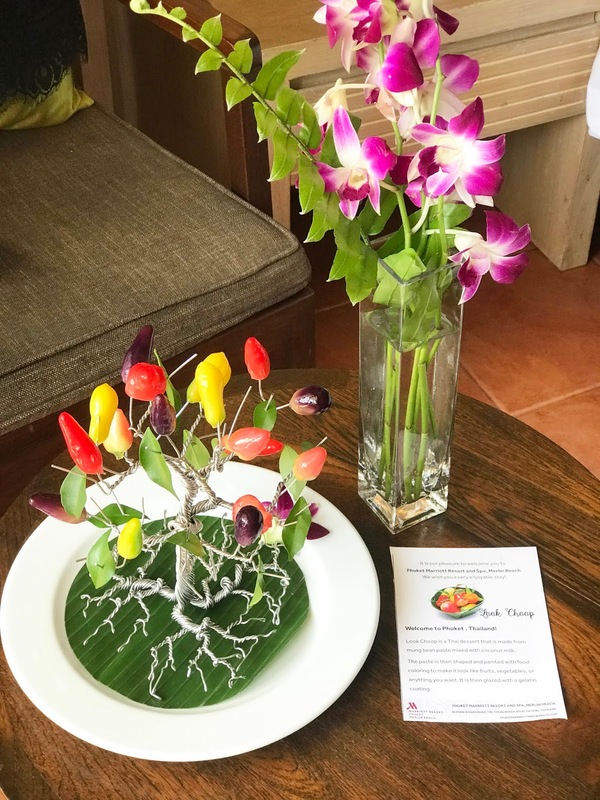 Thank you to the wonderful team at Phuket Marriott for hosting my stay – as always, all opinions are my own.